Another summer brings a new set of Social Business Benchmark study results! For the past three years, in partnership with the Society for New Communications Research (SNCR), we at Leader Networks, conduct an ongoing study on the impact social practices are having on organizations. 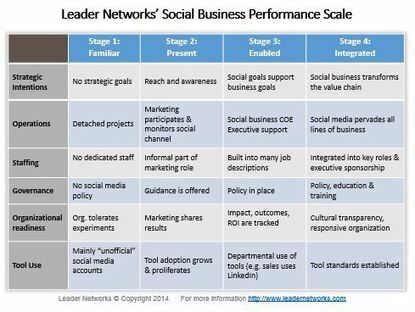 Unlike the other studies that focus mainly on social media marketing, we examine the social footprint across four important areas: Strategic intentions, operations, staffing, governance and organizational impact.